ZM will be hosting the Southeast MN JV Duals in Mazeppa on Saturday, February 1st. This is a 12-team tournament, with wrestling beginning @ 9:00. We are in need of volunteers to help with this tournament! We are looking for help with set-up on Friday night, Jan. 31st, as well as assistance during the tournament (table workers, tappers, concessions, etc.). Please consider donating a few hours of your time to help our tournament run smoothly and benefit our wonderful wrestling program!!! A sign-up sheet is to come…or feel free to comment here if you are available to help. Thanks in advance! Friday night was a great night for the ZM Wrestling program and families! A huge thank you to all our volunteers, including our youth and high school parents and our high school wrestlers. None of it is possible without your help and dedication. I saw a lot of smiles that night from the kids. Congratulations to the varsity for taking 1st in their home tournament on Saturday. Thanks to all who volunteered their time and came out to support the team. Youth wrestling activities for week of January 19th are below. Monday: Open mat from 6:00 to 7:30 for all grades. Thursday: Buzz up to Goodhue and watch the JV/V wrestle. Friday: Open mat from 6:00 to 7:00 for all grades. Saturday: Youth Open in Kenyon. Sunday, January 26: Youth Team in Kasson. Team will meet in Mazeppa at 7:45. Open Mat: Monday, December 9th from 6:00-7:00 PM in the Mazeppa wrestling room. Any wrestler looking for a little extra mat time is welcome to attend. Scrimmage with KW: Friday, December 13th starting at 5:30 PM in the Mazeppa wrestling room. Please arrive at 5:15. If your wrestler is not signed up and would like to participate, please e-mail youthcoordinator@zmwrestling.com. We will be looking for parent volunteers to help referee and keep score. Watch the Varsity take on KW: After the scrimmage, watch the varsity take on their rivals from KW! Have your wrestler bring an item for the local food shelf to the wrestling match and they will be entered in a drawing. Tournaments: Byron and St. Charles on Saturday, December 14th. Both are afternoon tournaments. Pine Island tournament on Sunday, December 15th. All details available on The Guillotine calendar. Open Mat: Monday, December 2nd from 6:00-7:00 PM in the Mazeppa wrestling room. Any wrestler looking for a little extra mat time is welcome to attend. Scrimmage with CF: Friday, December 6th starting at 5:30 PM in the Mazeppa wrestling room. Please arrive at 5:15. We’ll be having our 5002 Club members wrestle first so they are done by the time they need to be introduced. If your wrestler is not signed up and would like to participate, please e-mail youthcoordinator@zmwrestling.com. We will be looking for parent volunteers to help referee and keep score. 5002 Club Recognition: Friday, December 6th at 6:00 PM in Mazeppa large gym. Full details are here. 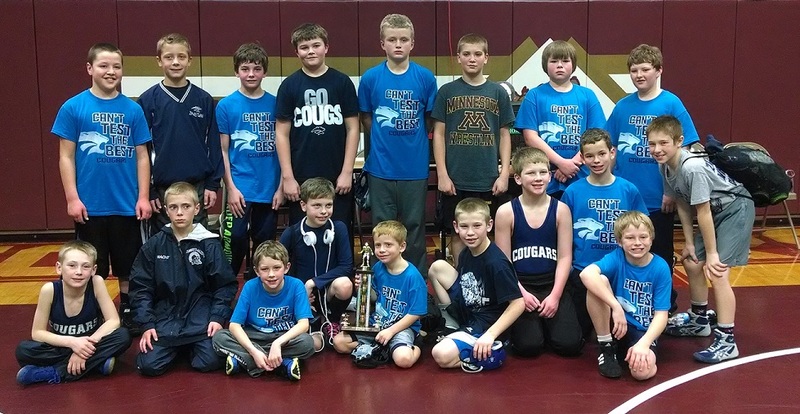 Tournaments: Stewartville and Waseca on Saturday, December 7th. Details available on The Guillotine calendar. Sign up for preseason nationals in Iowa. We only have 3 seats available in Tony Stensland’s van…..reserve your seat before they are gone! To reserve a seat, contact Link.